Click the photo below for this week’s YouTube video! A couple weeks ago OnlineFabricStore.net held a mini contest on Instagram for a “wicked good fabric” t-shirt. Lucky for me I was chosen as one of the winners! About a week later I received my package and in it was the t-shirt AND a reuable shopping bag, some beautiful quatrefoil fabric and a package of flowering seeds. Of course, me being me, I couldn’t just let the shirt be. I found some cute fabric (on sale even) and decided to make my first cut t-shirt. This will be part 1 in a series with how I decorate my flower pot and what I do with my fabric being parts 2 and 3. I LOVE cardigans. All you have to do to wear them year round is change the shirt with which you wear it. Click the picture to see the video! I’ve got a new video on YouTube! This is my favorite skirt yet! Something new I’m trying is that on the Mondays I post a video, there will be a blog post talking more about the video. Inspiration, creative process, what was going on in my head, etc. Maybe I can even post some bloopers. Gotta laugh at yourself right? The regular DIY/tutorial posts will be back next week and the weeks where I don’t make a video. What’s up next week? Come back and see. First I would like to say, one of these days my projects will go as planned from start to finish. In the meantime, this is my high low dress (this was supposed to be a whole different dress, but I’ll get back to it later). 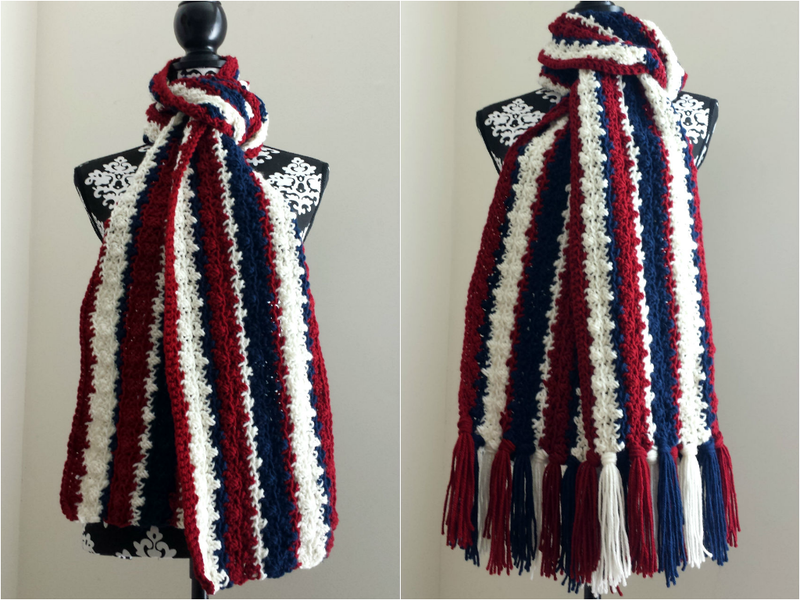 I’ve made a tutorial for this cozy scarf, fringe or no fringe. Below, I will provide written instructions for the experienced and step by step pictorial instructions for beginners…or folks like me who are just visual. You only need to know how to start and do a chain stitch, single crochet and double crochet before starting this tutorial.